The Moral Unknown: "L'avventura" as Influential Text on "Clouds of Sils Maria" & "About Elly"
"Thus moral man, who has no fear of the scientific unknown, is today afraid of the moral unknown. Starting out from this point of fear and frustration, his adventure can only end in a stalemate." The great Italian director Michelangelo Antonioni spoke those words in May 1960 at his press conference at the Cannes Film festival where his revolutionary feature, "L'avventura," thrilled and confounded in equal measure, drawing high praise though also provoking a rage and public rebuke as some in the Palais crowd angrily voiced their displeasure. The professional jury, headed by the Belgian novelist Georges Simenon, awarded the film a jury prize (Federico Fellini's "La dolce vita" won the Palme d'Or that year). "L'avventura" was a film that famously refused to resolve itself, leaving unknown the fate of the beautiful Anna (Lea Massari) whose disappearance during a yachting trip as her friend Anna (Monica Vitti) and older lover Sandro (Gabriele Ferzetti) undertake an existential and ultimately futile quest to learn the truth. "Naturally, I don't care to, nor can I, resolve it myself," Antonioni said at his contentious press conference. "I am not a moralist, and my film is neither a denunciation nor a sermon. It is a story told in images whereby, I hope, it may be possible to perceive not the birth of a mistaken attitude but the manner in which attitudes and feelings are misunderstood today." 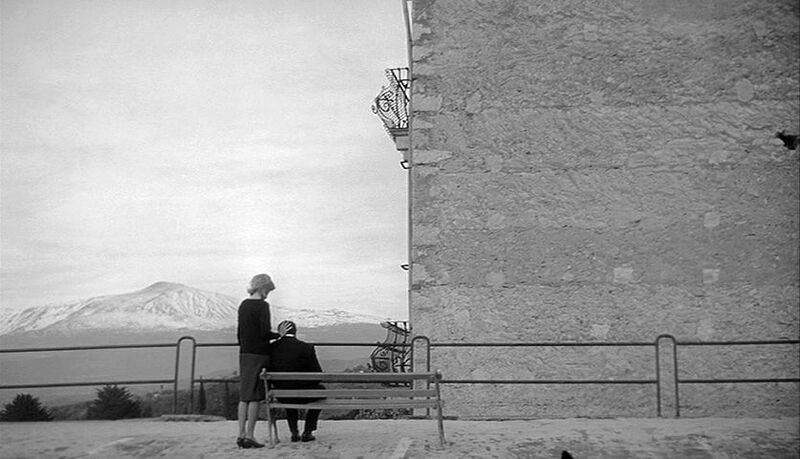 Antonioni, who died in 2007 at the age of 94, made other important films but this was his watershed, the work that made his international reputation and signaled a crucial hallmark of a nascent European modernism, linked to the recent past (Roberto Rossellini's "Voyage to Italy") and the artistic emergence of the French New Wave (Jean Luc-Godard's "Breathless" had opened in Paris two months earlier). "Every day, every emotional encounter gives rise to a new adventure," the director said. "L'avventura" marked a rupture, with narrative, with the emotional possibilities of cinema. 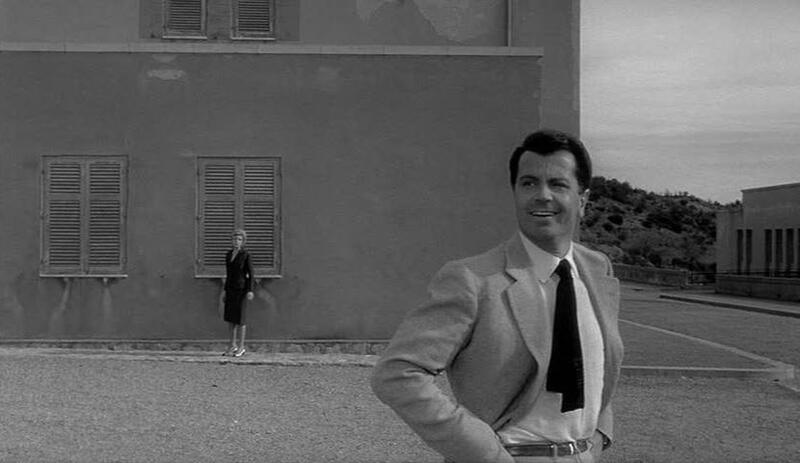 Antonioni's film (and the two linked works that made up his informal trilogy, "La notte," and "L'eclisse) was meant as a disavowal, a clearing of the decks. "Because I repeat, the present moral standards we live by, these myths, these conventions, are old and obsolete," he said. "L'avventura" is not an embalmed classic but rather seems as vigorous, profound, beautiful and daring as the day it was made. The recently published Criterion Blu-ray upgrade reiterates and provides a deeply satisfying and immersive viewing experience. The theatrical release of two films by major international directors underlines its continued relevance and historical importance, accenting its existence not as an artifact but an influential text. French director Olivier Assayas' "Clouds of Sils Maria" and Iranian director Asghar Farhadi's "About Elly," are each indebted to Antonioni's masterpiece. The Assayas film premiered at Cannes last year. Its connection to "L'avventura" is more allusive. Farhadi's film is much more explicit in appropriating the narrative foundation. It is also worth pointing out, this is not a new film and has undergone a much more circuitous path to US distribution. Farhadi's movie predated his Academy Award-winning "A Separation." This movie premiered at Berlin in 2009. The film's original American distributor went bankrupt, prompting its legal limbo. In its study of the social disenfranchisement of women and the elusive nature of truth and subjectivity, "About Elly" is clearly aligned to the ideas and themes Farhadi examined with great acuity in "A Separation" and "The Past." "L'avventura" has long exerted a deep hold over Assayas. Like Antonioni (and Godard and the other French New Wave directors), Assayas came to filmmaking through criticism and cultural journalism. He wrote a book on Ingmar Bergman and wrote articles and essays for the same seminal French film journal, Cahiers du cinema, that published the New Wave directors. For its Blu-ray, Criterion has repurposed as one of its supplements a three-part video essay by Assayas talking about Antonioni and the film. Significantly, Assayas originally produced the piece for French television during the time of his own 1994 breakthrough, "Cold Water." In the video essay, Assayas points out Antonioni moves "from abstraction to humanity." From his subsequent "Irma Vep" on, Assayas has been meditating on film culture and history and exploring his own personal connections. In "Clouds of Sils Maria," Assayas confronts his own holy trinity, if you will, of Antonioni, Bergman and the German director Rainer Werner Fassbinder. In Assayas' story, Juliette Binoche stars as the prominent international actress Maria Enders who is now haunted by her own professional obsolescence. Desperate to remain artistically relevant, she is preparing to star in a London production of a play that launched her own film when she starred in the film version 30 years earlier. The heart of the movie unfolds in the Alps and details the intricate emotional byplay between Maria and her American assistant, Valentine (Kristen Stewart, in a brilliant and forceful performance that won her a Cesar award). In the Criterion essay, Assayas illustrates his ideas with Antonioni's own imagery, especially director's expressive use of landscape and starting use of geometric space. In "Clouds of Sils Maria," the cumulative dramatic power develops through the escalating tension of the two women moving imperceptibly between the dialogue of the play within the film and the charged negotiation of power, trust and authority. Intensified by their isolation, the emotional collision of the two women, with their jostling and shift-shaping, evokes Bergman's "Persona." Meanwhile the playwright and filmmaker, Wilhelm Melchior, whose play sets the plot in motion, is a facsimile of Fassbinder. The play's study of corruption, sexuality and betrayal recall the director's "The Bitter Tears of Petra von Kant." The connective thread of "L'avventura" is not apparent until a dramatic development in the movie's final movement. Like the Antonioni, the action is a moment of narrative annihilation. Nothing is quite the same afterwards. It destabilizes the narrative and opens up new interpretations of behavior and action. The camera movement that leads up to the moment is one of the most poetic and beautiful in recent cinema. One final note worth mentioning. The movie also reflects on the entwined personal histories of Assayas and Binoche. His own artistic breakthrough was his script for Andre Techine's 1985, "Rendez-vous," starring Binoche as a sexually brazen young actress. It's a fearless, star-making performance by Binoche (the movie is available on Criterion's streaming channel on Hulu Plus). In "About Elly," the dramatic rupture occurs at the 45-minute mark. In the movie, the title character (Taraneh Alidoosti) is an independent 20-year old nursery school teacher who joins a group of upper middle class Tehran professionals on a weekend retreat in the Caspian. The story takes a sharp turn as one near tragedy is averted only to open up a larger mystery as nobody in the party is suddenly able to account for the young woman's whereabouts. Farhadi draws on the central mystery to examine a deeper and more insidious social malaise and alienation. As the point of view shifts from the title character to Sepideh (Golshifteh Farahani), the void is not simply the woman's unexplained disappearance, Farhadi examines the very way Iranian women are marginalized, or rendered invisible. This woman, who was drafted into the party for very specific reasons—as a potential romantic mate for one of the men—is attacked, in absentia, for everything from her sexual habits to her independent nature. Sepideh functions narratively in much the same way as Claudia in "L'avventura," the one left to pick up the pieces, to make the unknowable more tangible. Everything connects. The beautiful and gifted Farahani was forced to flee to Paris after the religious zealots in Iran's cultural ministry banned her (with some even calling for her death) after she appeared as Leonardo DiCaprio's love interest in the Ridley Scott movie, "Body of Lies." Farahani is fortunately making films in the West, and she has a pivotal role in "Eden," the new film by Mia Hansen-Love, Assayas' partner. "Clouds of Sils Maria" and "About Elly" are heirs to "L'avventura" in other ways, demonstrating an engagement or awareness of a larger governing consciousness. Each is tethered to its own culture and seeks to say something new and meaningful. Both show why Antonioni's supreme masterpiece is so central an experience, speaking to our restless and never ending desire to break free and find our own way.